Audi has updated the Q3, and it’s now in the country. The premium character of the new Audi Q3 is apparent at first glance. 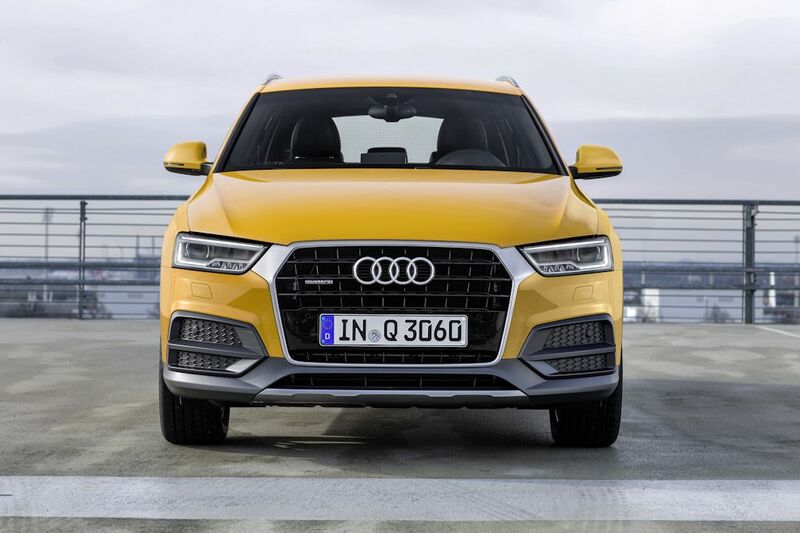 Audi designers honed the details with coupe-like lines, horizontal lines up front and in the rear that emphasize its width, and with the characteristic wrap-around tailgate, which when taken as a whole, give the new Q3 a truly expressive design. 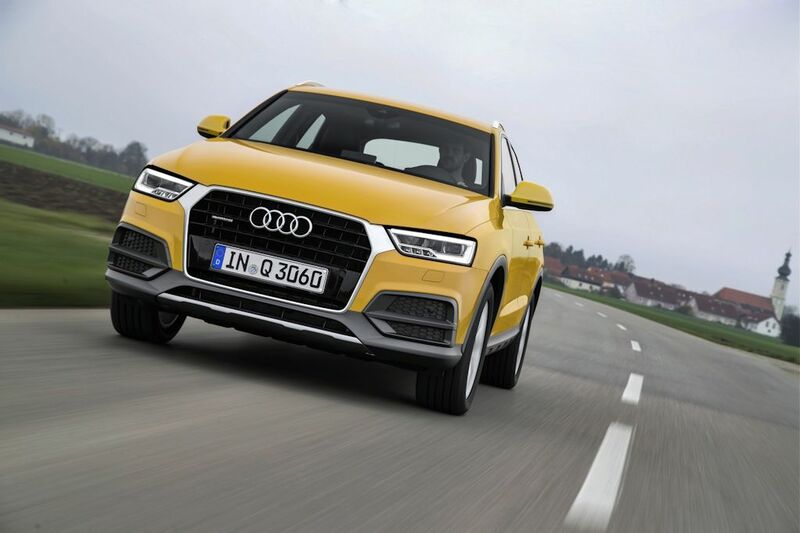 For the Ingolstadt-based carmaker’s fighter in the premium compact SUV segment, the updated Audi Q3 gets a new front end. The outer air inlets are larger and are split horizontally, the blade beneath the center inlet is finished in black, and the Singleframe grille, along with the LED daytime running lights and the headlights with Xenon plus technology, dominate the front. The design gives the new Audi Q3 a particularly upscale look, but at the same time, underscores the sporty character of this premium SUV. The hood and the tailgate are both made of aluminum, and as is typical on Audi’s Q models, the tailgate, which wraps around the pillars, integrates the undivided LED taillights. When viewed from the side, the defining element is the flowing, coupe-like, sloping roof that tapers into the D-pillar. Sharply-drawn lines border powerfully taut surfaces, and the body-to-greenhouse ratio of two-thirds to one-third is typical of Audi’s sporty design language. The side sills are more prominent, while the wheel wells are strongly defined, and the wheel arches boldly offset. 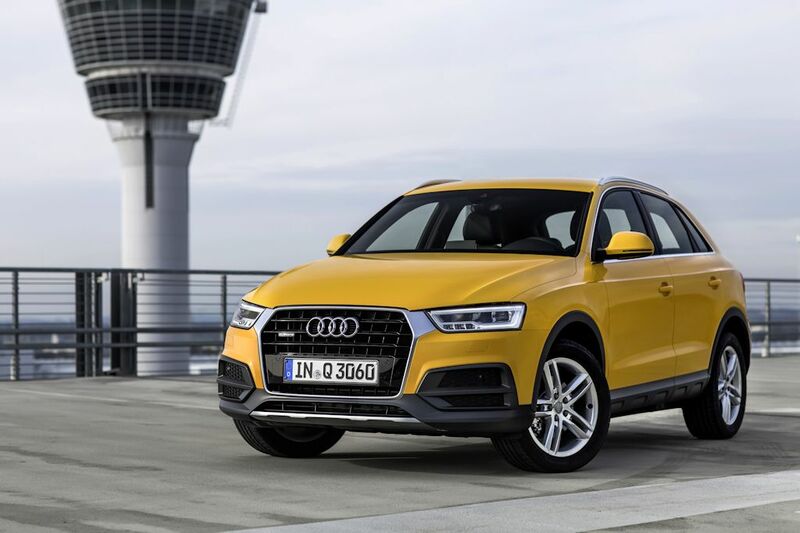 The new Audi Q3 is powered by a 1.4 TFSI engine that delivers 150 hp and 250 Nm of torque. This premium SUV has a six-speed, S tronic dual-clutch transmission that helps it go from 0 to 100 km/h in 8.9 seconds, and on to a top speed of 204 km/h. 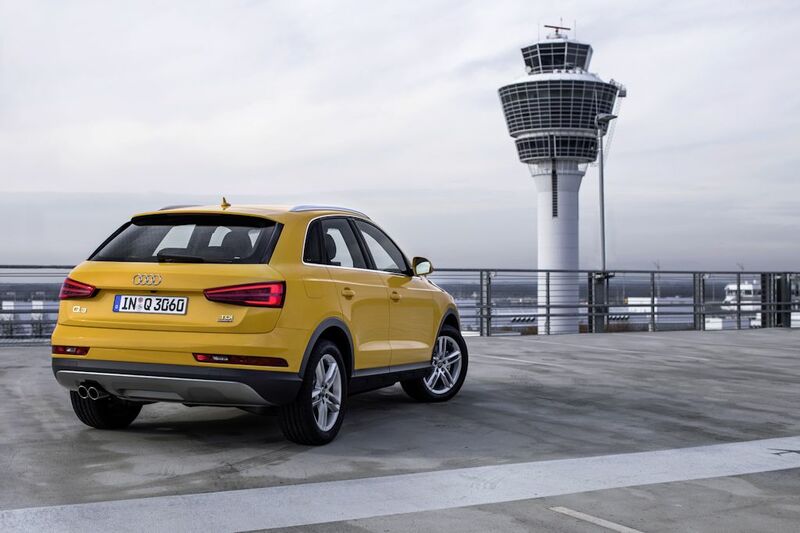 The chassis of the Audi Q3 combines safe and agile handling. Its comprehensive fine-tuning has enhanced the Q3 even more. The front suspension is composed of MacPherson struts, with the lower wishbones and the sub-frame made of forged and cast aluminum, respectively – a solution that greatly benefits the weight distribution between the front and rear axles. The rear suspension, on the other hand, is a four-link set-up. The trailing links absorb propulsive and braking forces, and in the interest of comfort, their bearings are sizeable. The three transverse links of each wheel are rigidly joined to the steel subframe, and are responsible for absorbing lateral forces. All links are made of high-strength steels, while the wheel carriers are aluminum. The rack-and-pinion power steering, meanwhile, uses a highly-efficient electric motor that continuously reduces boost as speed increases. This premium compact SUV is fitted with 235/55 R17 tires, striking the perfect balance between comfort and sport. The Audi Q3 1.4 TFSI features vented discs in front and solid discs at the rear, with the electromechanical parking brake integrated into the rear brake system. In addition, the latest evolution of the electronic stabilization control (ESC) incorporated in the new Q3 is even more sensitive and versatile. Inside, the new Audi Q3 1.4 TFSI has plenty of room, with high-quality workmanship and a clean, ergonomic design that reinforce its premium status. It offers an all-black leather interior, and comes equipped with Audi’s MMI infotainment system. The luggage compartment has a base capacity of 460 liters, which can be increased to 1,365 liters by folding down the rear seat backs. Standard equipment includes an extending luggage compartment cover. The new Q3 is the premium Audi SUV in compact form. It is sporty, efficient, and versatile – an urban vehicle that is equally at home on or off the road. It retails for P 3,190,000. For more information, visit any of the Audi Philippines showrooms located in Greenhills, Bonifacio Global City, and Alabang. Contact Audi Philippines at +63917-813-9064.